Behind our company, psdDesignTohtml.com stands an experienced panel of web developers and designers and this company is focused on offering coding and designing services. We also serve the agencies as well as web design freelancers. As supports for other web design organizations, we have already coded sites for thousands of organizations across the world, from local and small business owners to large international manufacturers. So when you are looking out for outsourcing, why don’t you find the best? Do not brows all the time for the best companies over internet. We are here for you. You can easily convert psd to responsive html template in India at our company psdDesignTohtml.com. We covert PSD design to pixel perfect as well as hand coded HTML, but this is not all, we do a lot more for you. Giant companies now like to outsource psd to html from different agencies. We are here with our dedicated html developer experts to code not to talk. Our company’s program allows for an even transition from PSD to responsive bootstrap easy creation of web pages. Our company provides html templates, which look great on all contemporary web devices and browsers. Each venture goes through specific top quality guarantee procedure such as accurate testing on different internet browser and gadgets. We have developed our own programming requirements and we adhere to them totally. You can convert psd to responsive html template at our firm psdDesignTohtml and expect the same top quality, web design and semantics, each and whenever. No matter who the designer is on our side. You can upload your design through our ordering form. Once you have selected the pricing quote, you will get an email in details from our dedicated customer service team. However, unlike other sites, we include CSS Frameworks, Custom Fonts and you don’t have to pay any additional charges for these services. 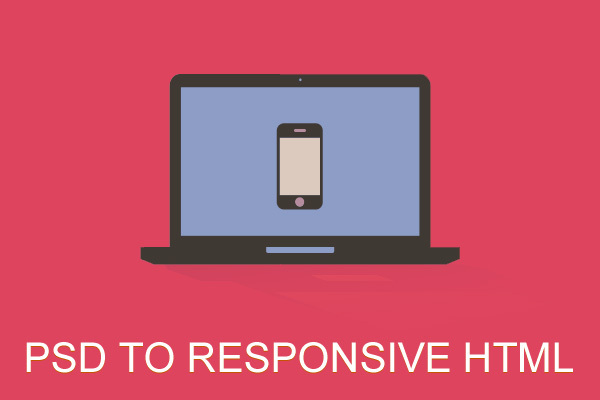 At psdDesignTohtml.com, we endeavor to offer the best responsive website designs in reasonable price, Quality combination. Generally, we offer two price options based on completion time. We know how your business works. We’ve provided a large number of customers with our best psd to html conversion services and our preservation rate is above 90%. We take privacy very seriously, know, and protect your copyright privileges. As we create responsive websites, our web designs are approved in almost any format. We always work for making our site offering the best HTML coding services and serving customers with top-notch code, free of charge on additional service and receiving payment after full satisfaction. We are always here for providing enough customer supports when needed. Before providing it to you, we’ll ensure top quality such as specific testing on different operating system and all contemporary web browsers. We are available round the clock with the entire support team and ready to act in response via e-mail, telephone or online chat. Customer satisfaction is our first priority. We ensure all projects up with a 100% guaranteed satisfaction and we do revision on demand even after months as well as great price on big projects. In case we skip something and you’re not totally pleased, we’re going to work on it until you love it!